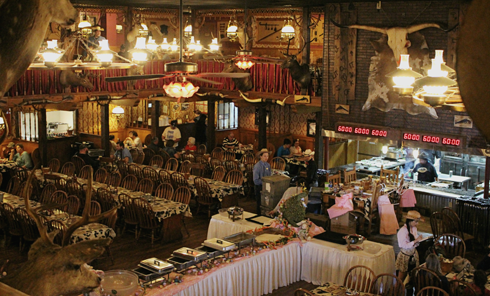 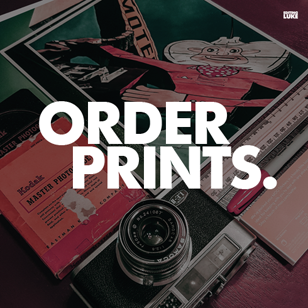 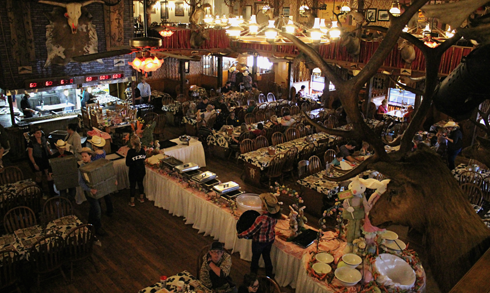 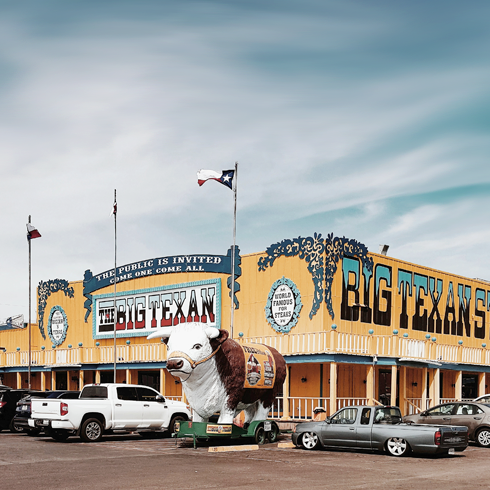 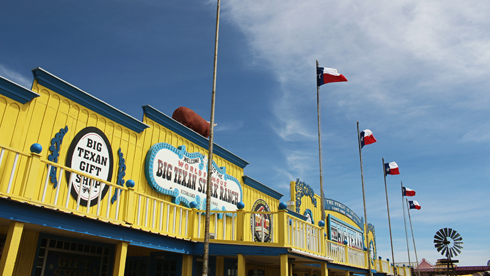 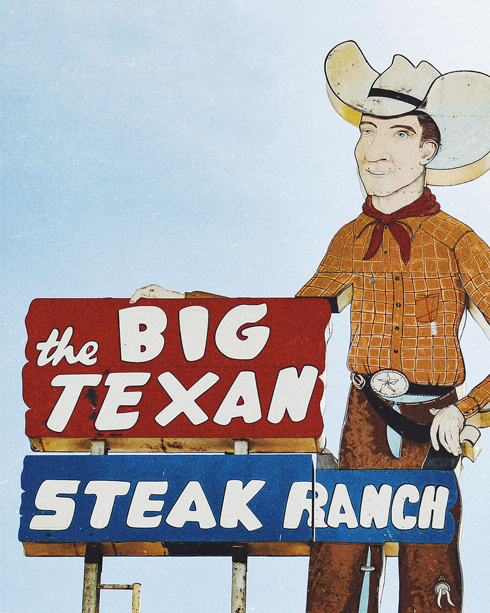 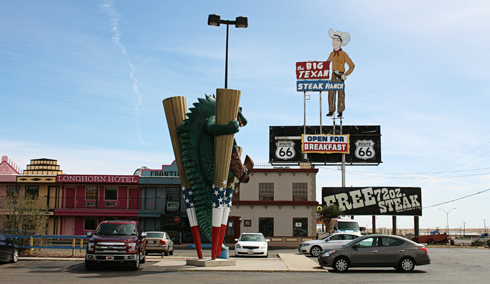 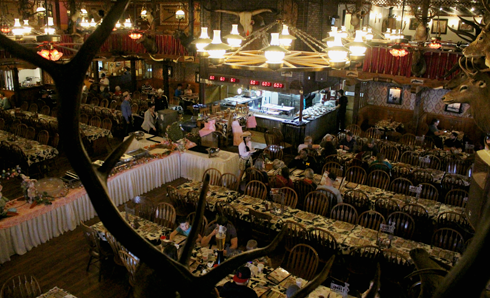 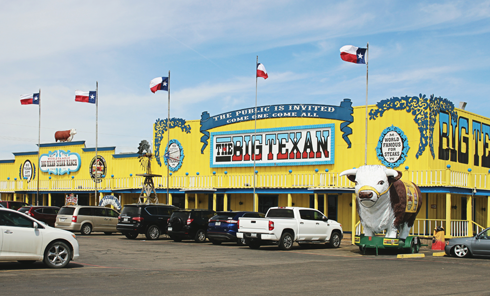 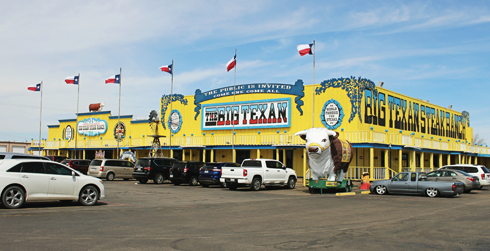 Opened in 1960, the Big Texan Steak Ranch is a steakhouse and motel located in Amarillo, Texas. 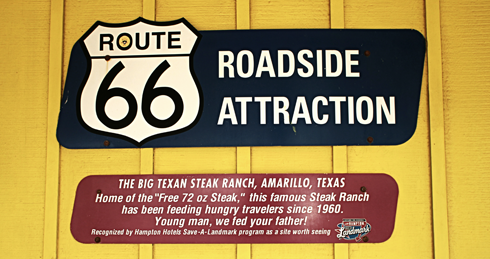 Originally built along Route 66, the steakhouse was moved to its present day location on I-40 in 1970 when the interstate bypassed the old restaurant. 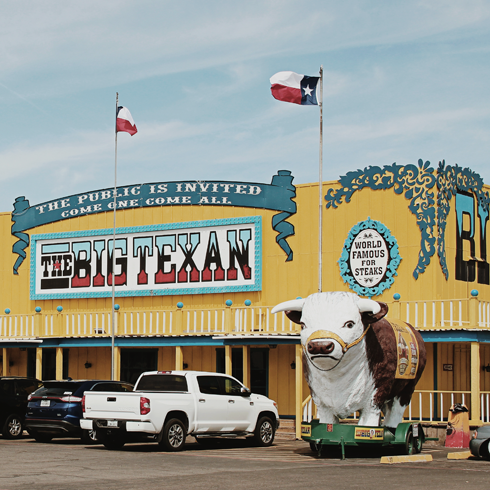 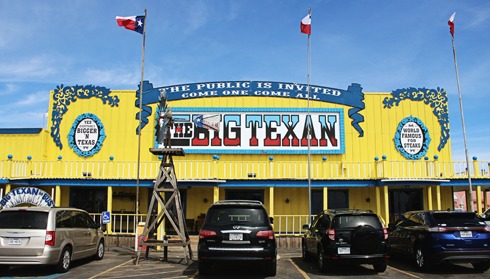 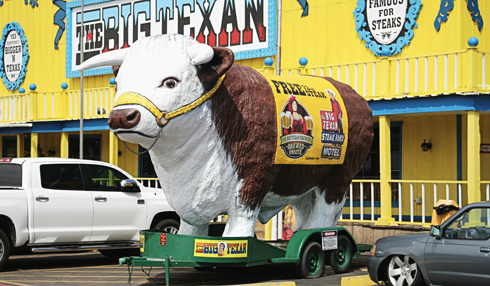 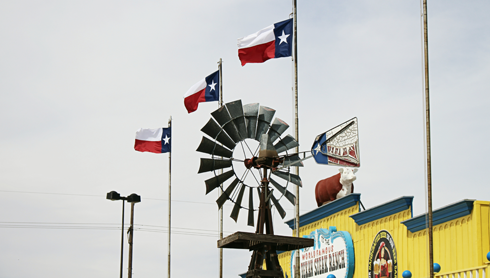 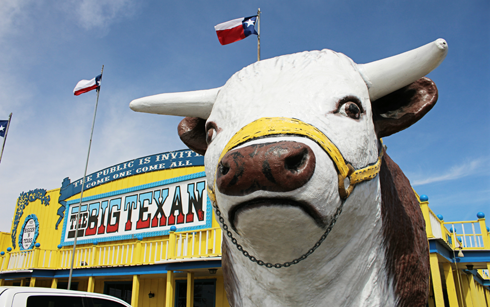 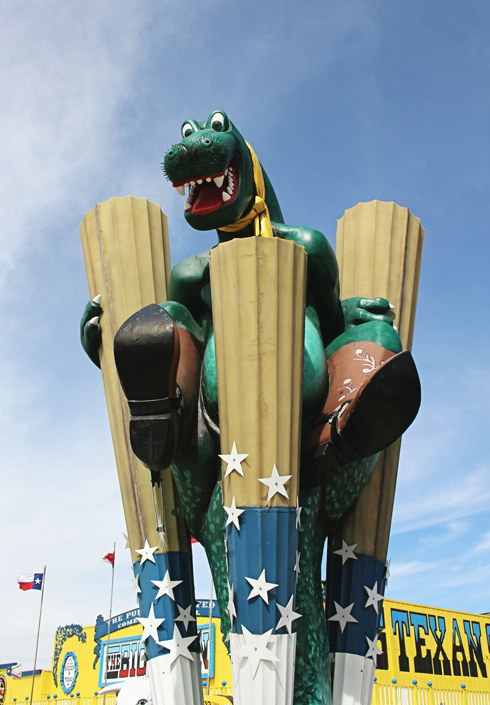 Few Texas roadside attractions feel quite as distinctly 'Texan' as this gem. 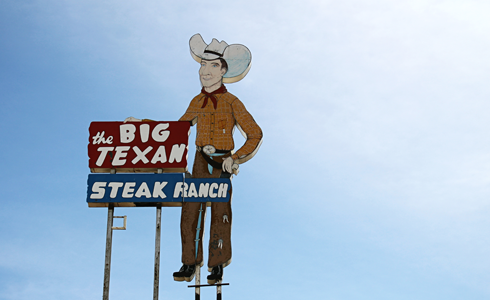 It's well worth pulling over for.